Back in 2005, Still Music made history by releasing one of the most acclaimed and legendary compilation about Detroit beatdown music, somewhere between Detroit techno, house and soul. Featuring Rick Wilhite, Delano Smith, Marcellus Pittman, Mike Huckaby, Amp Fiddler and a few more, In The Dark: The Soul Of Detroit showcased a pool of talents that is now established worldwide. Highly sought after, In The Dark was repressed in 2012 and was an immediate success. 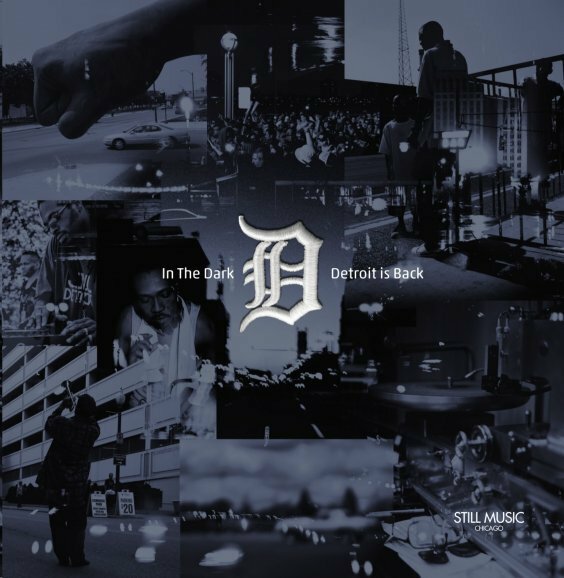 Still Music is proud to present the follow up to this great compilation: In The Dark: Detroit Is Back. Diving in Detroit’s most talented pool of underground artists, In The Dark: Detroit Is Back brings tracks to the foreground produced by the who’s who of Detroit’s thriving electronic music scene. Focuses on techno, soul and house, it is a journey through Detroit’s basement clubs, studios and warehouses, an uncompromising view of one of the most progressive music city in the world.